Learn how to use the laser cutter’s rotary attachment in this Safety and Basic Use (SBU) class. 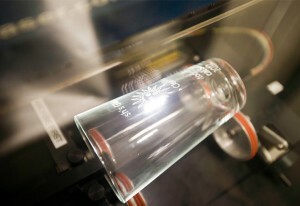 The rotary attachment allows laser etching on cylindrical objects such as wine glasses, beer mugs, flashlights, bottles, and even drumsticks. Imagine the possibilities! Prerequisites: Successful completion of LAS101 Laser Cutting and Etching SBU prior to taking this class.